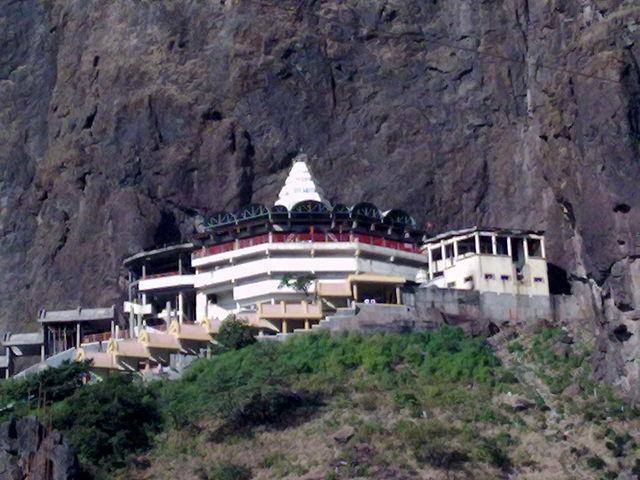 Saptashrungi is a Hindu religious site located about 60 kilometers from Nashik in Maharashtra. The word Sapta means seven and Shrungi means peaks. According to local legend, the goddess Saptashrungi Nivasini resides in the seven mountain peaks of the hill range and is a popular pilgrimage in the area. From the top, Saptashrungi devi temple offers panoramic views to climbers. There’s a regular bus service by those who’d rather do things that way. The mountain is said to be the place where Goddess Bhagawati dwells. There are 108 water reservoirs on the hill. The statue of the deity Devi stands at the foot of the mountain.